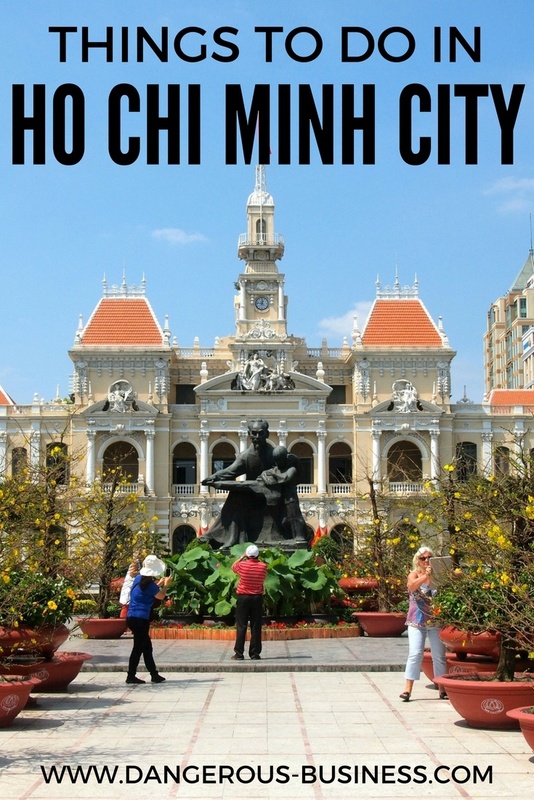 Being in Ho Chi Minh City during the culmination of the Tet celebrations, though, meant that I’ve always kind of focused on the holiday in my mind when thinking about Vietnam’s largest city – and consequently realize that I wrote very little about the city itself here on my blog! This is a pity and a major oversight on my part, since it’s a city that I really enjoyed. There are more than one million motorbikes in the city. And if you try to cross a busy road here at any time of day, you’ll probably be convinced that every single one of them is out on the road at the same time! 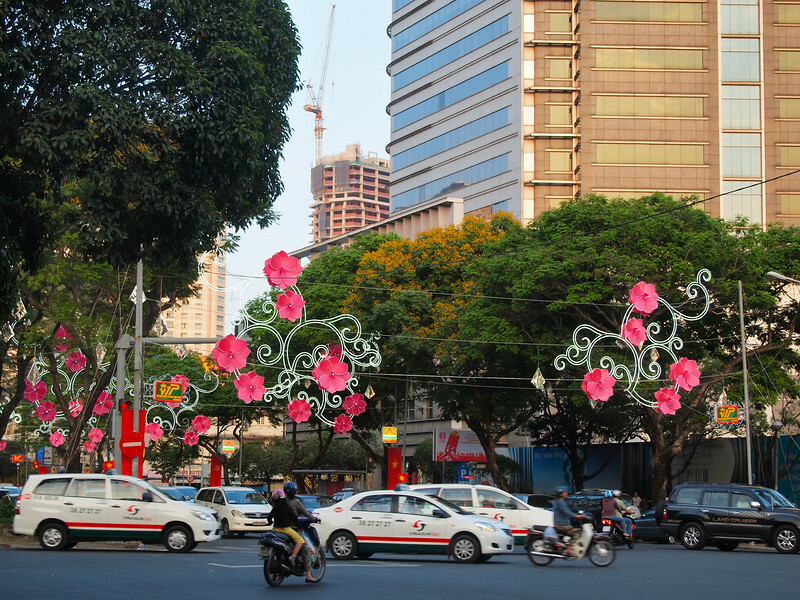 Another fact important to know about this part of Southeast Asia: it was a French colony for nearly a century, and that French influence can still be found in cities throughout the region – including in the architecture of Ho Chi Minh City. 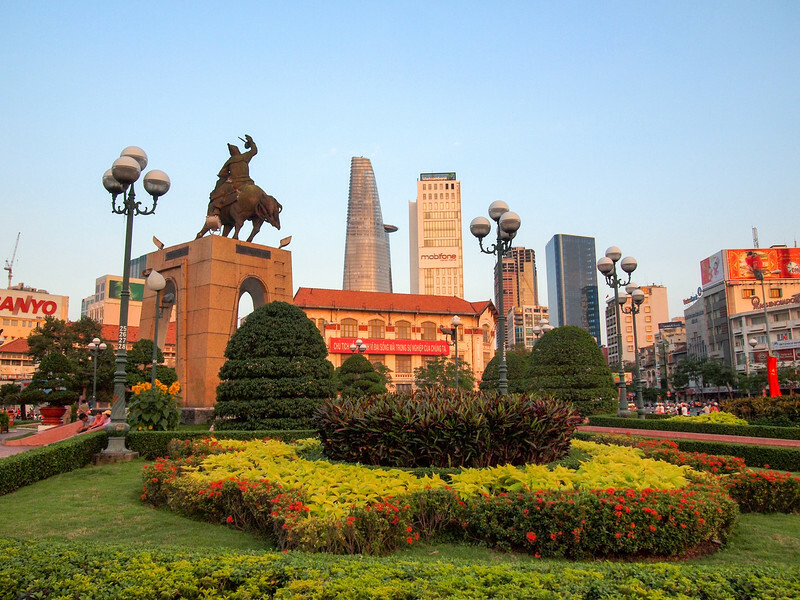 You’ll find wide boulevards and historic French colonial buildings dotting the downtown area. One of my favorites is the City Hall building. 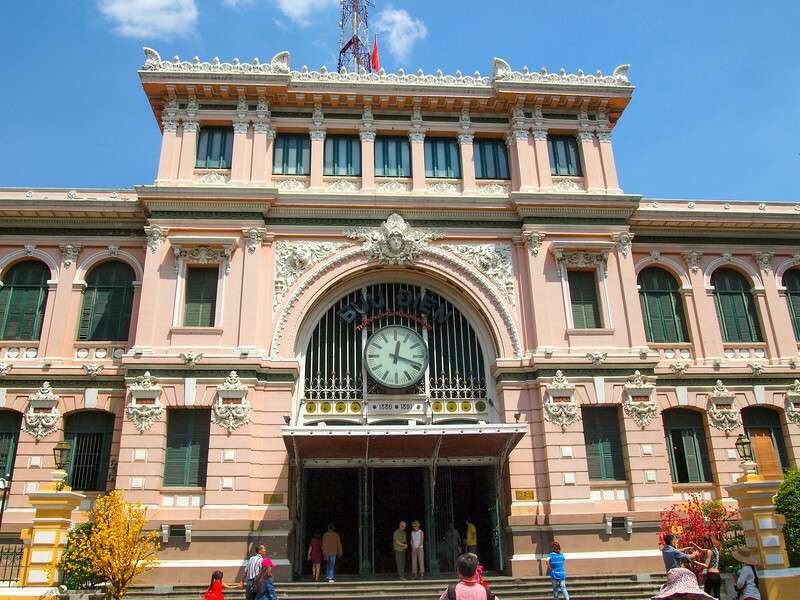 Another beautiful piece of architecture in the city is the Central Post Office. 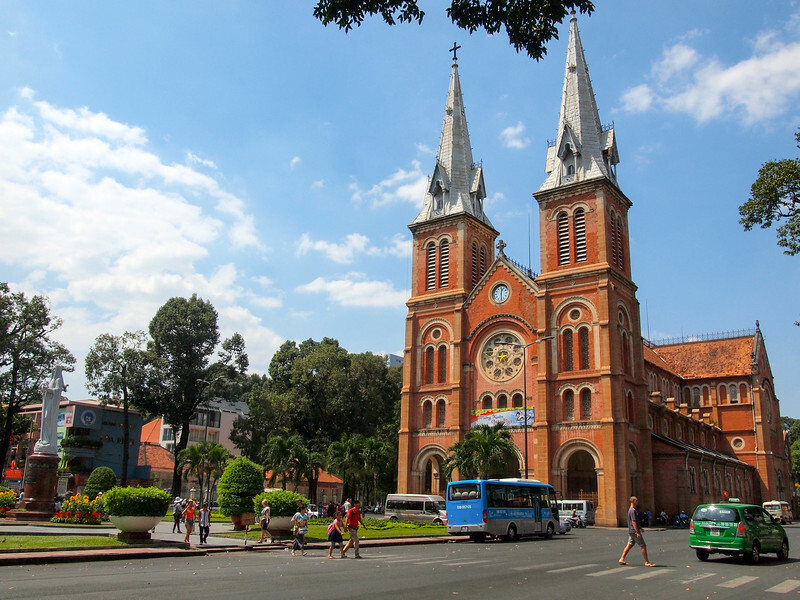 It’s near the Notre-Dame Basilica (HCMC’s cathedral and a symbol of the city), and is absolutely gorgeous on the inside. If you need an excuse to send a postcard or two back home, a visit here is perfect. 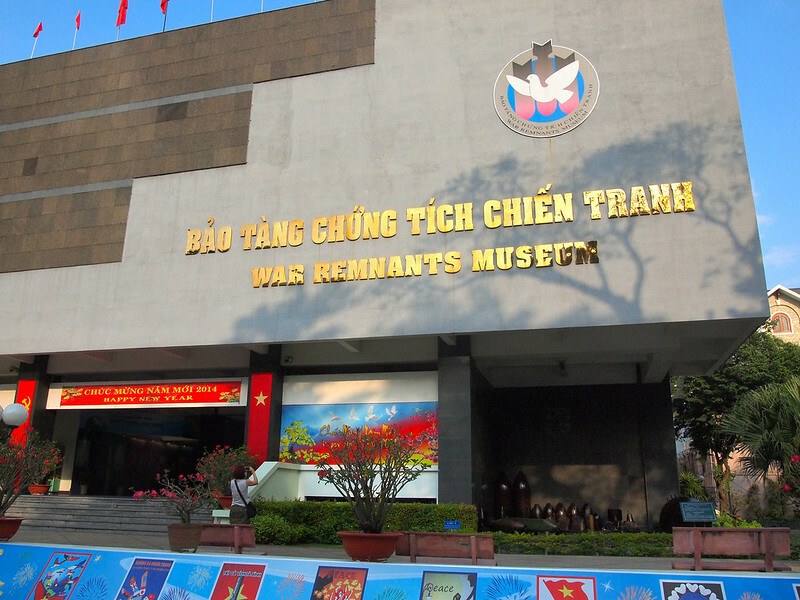 If you are a Western tourist visiting Ho Chi Minh City, at some point you will inevitably find yourself at the War Remnants Museum. 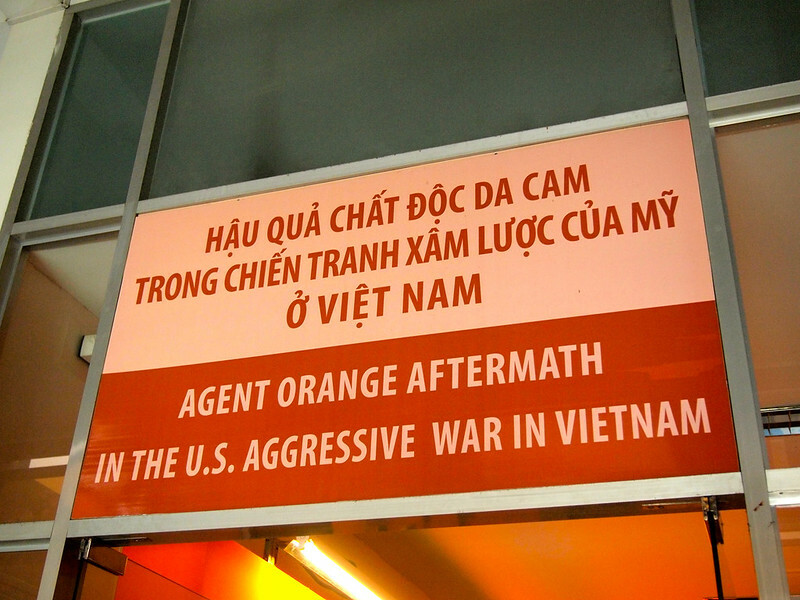 This museum mostly consists of exhibits related to the Vietnam War and the atrocities committed during it. The museum is often criticized as being rather one-sided (and the word “propaganda” definitely applies to a lot of it), but it’s nevertheless an interesting look into how the conflict is portrayed on this side of the world. I personally didn’t love the museum, but maybe that’s just my American guilt shining through. 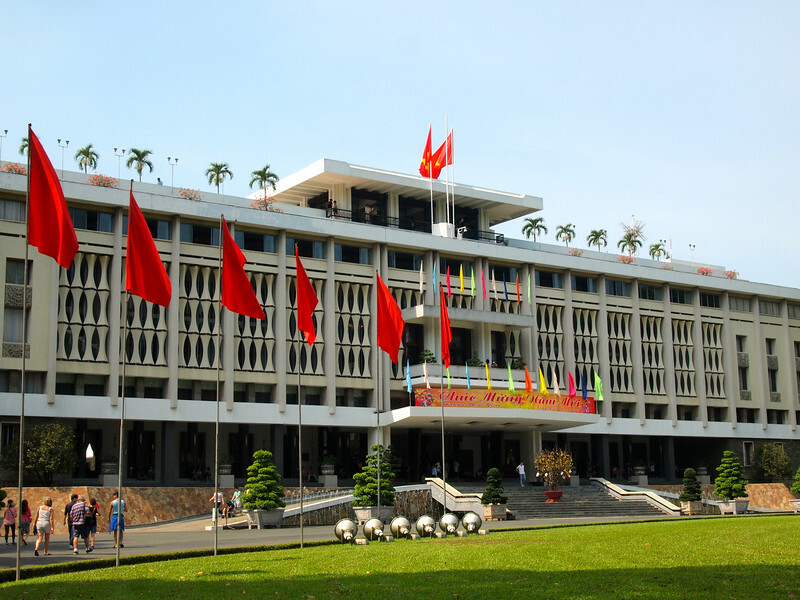 An unexpected outing in HCMC took me to the Reunification (or Independence) Palace. 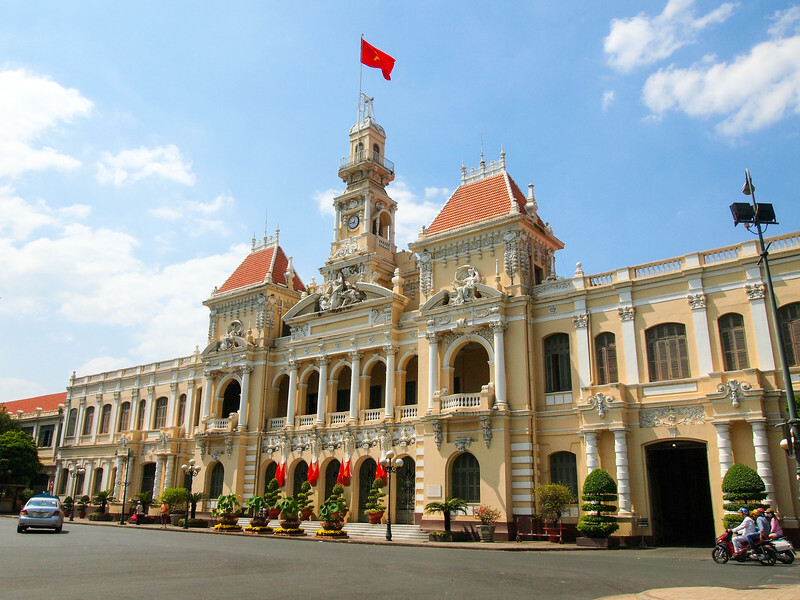 This grand building was the home of the President of South Vietnam during the Vietnam War, and was where the war ended in April of 1975 during the Fall of Saigon (two of the tanks that famously stormed the palace on that day can still be found displayed on the grounds). The current building is actually quite new – it was rebuilt in the 1960s after being bombed and partially destroyed in 1962. 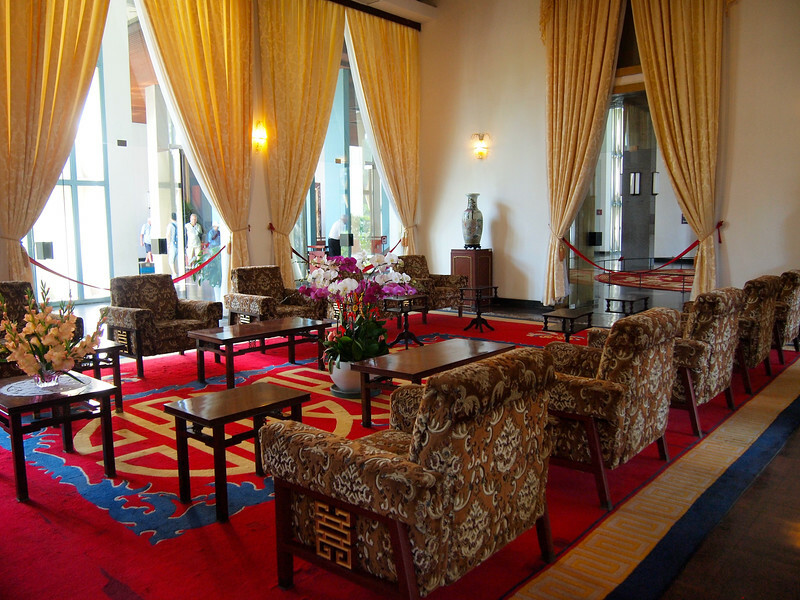 You can tour/wander around the inside of the building as long as there aren’t any official receptions/meetings going on. 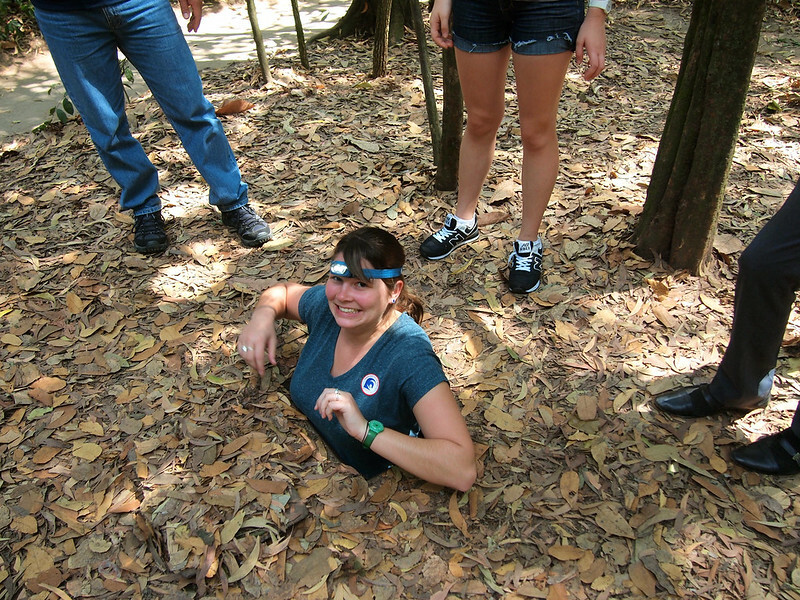 Tours here can depend on the guide you get (I had a very rude guide who made me feel very uncomfortable at times), but I’d still say the tunnels are worth visiting. 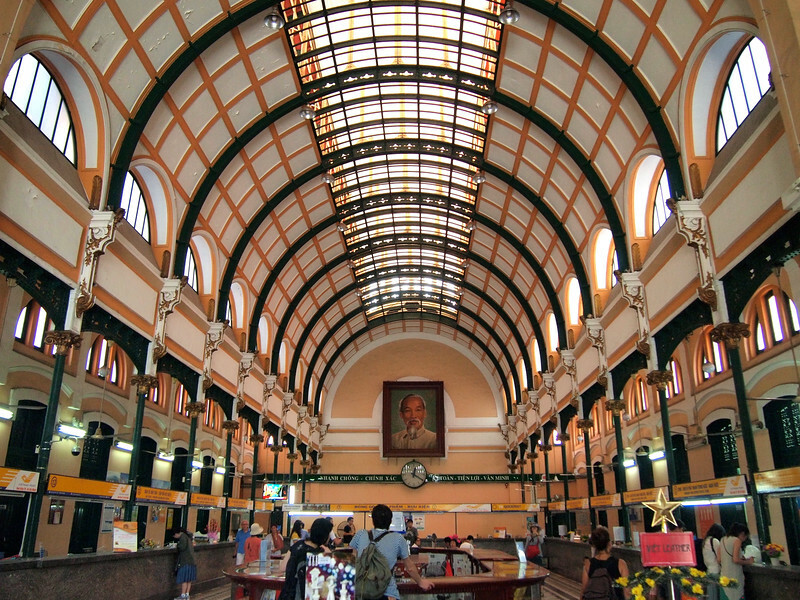 My favorite day trip from Ho Chi Minh City was to the Mekong Delta. 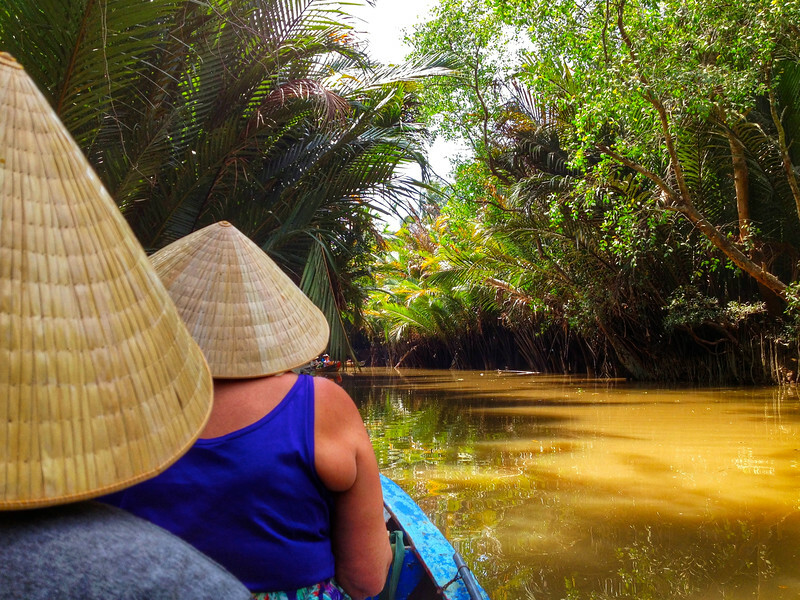 A day trip here usually includes a ride in a traditional sampan boat (conical hat-wearing optional), visits to farms or a coconut candy factory, and a meal at a local Vietnamese restaurant. Even though this place isn’t far from Ho Chi Minh City, you’ll see that life is very different in the Mekong Delta. About the Chestnuts Festival of Baia Mare (my home city in the past): at first there were chestnuts all over the place during that festival but in the past 5 years or so, the sweet chestnut forests of Maramureș with some trees being as old as 500-700 years, got infected with blight – known as Cryphonectria parasitica – it’s usually fatal to sweet chestnuts. It causes bright brown cankered bark, in contrast to the greenish normal bark and the disease, imported from Asia, had killed most of Maramureș chestnut trees. The only treatment is repeated vaccination of the trees, one by one and that costs so much, they cannot afford it I’m afraid. The same happens in France and all over Europe with the sweet chestnut plantations/forests.